A just-deciphered ancient Greek poem discovered in Egypt deifies Poppaea Sabina, the wife of the infamous Roman emperor Nero, showing her ascending to the stars. Credit: Image courtesy the Yorck Project, in public domain. 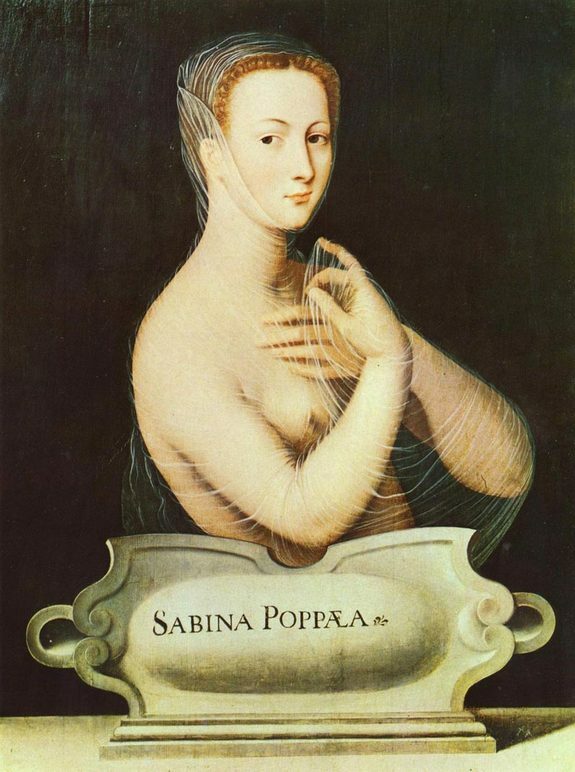 - This 16th-century painting, now in the Musée d'Art et d'Histoire in Geneva, depicts Poppaea Sabina, the name of the artist is unknown. Based on the lettering styles and other factors, scholars think the poem was written nearly 200 years after Nero died (about 1,800 years ago), leaving them puzzled as to why someone so far away from Rome would bother composing or copying it at such a late date. In the poem, Poppaea ascends to heaven and becomes a goddess. The ancient goddess Aphrodite says to Poppaea, "my child, stop crying and hurry up: with all their heart Zeus' stars welcome you and establish you on the moon." Nero was one of the most infamous rulers who ever lived. Ancient writers say that he killed his own mother, Agrippina, and his first wife Octavia. He is also said to have killed Poppaea herself with a kick to her stomach while she was pregnant. If that wasn't enough, the well-known line — "Nero fiddles while Rome burns" — is an apocryphal phrase related to a great fire that ravaged Rome for six days during his reign. Poppaea herself is also depicted in a less-than-positive light by ancient writers. When Octavia was killed, Poppaea was said to have been presented with her head. Some sources also speculate that she was the power behind the throne that encouraged Nero to murder his mother. The newly deciphered poem, however, shows a very different side to this ancient couple. In the poem, Poppaea is depicted being taken away by Aphrodite and told "your children for Nero (both deceased) you will guard them for eternity." Poppaea does not want this, wishing to stay with Nero. "(S)he was downcast and did not rejoice in the offered (favor). For she was leaving her husband, (a man) equal to the gods, and she moaned loudly from her longing" part of the poem reads. "The poet is trying to tell you (that) Poppaea loves her husband and what it implies is this story about the kick in the belly cannot be true," said Paul Schubert, a professor at the University of Geneva and the lead researcher who worked on the text, in an interview with LiveScience. "She wouldn't love him if she had been killed by a kick in the belly." The poem records her ascending to heaven, mentioning all the planets known to the ancients including "the Cyllenaean star" (Mercury), "belt of the Aegis-bearer" (Jupiter) and "Rhea's bedfellow" (Saturn). Her arrival among the stars is also triumphant, "under a clear (moon), the dance of the blessed (gods) she viewed." with her then going to the northern pole to watch over Nero "looking around for her husband under the darkness." 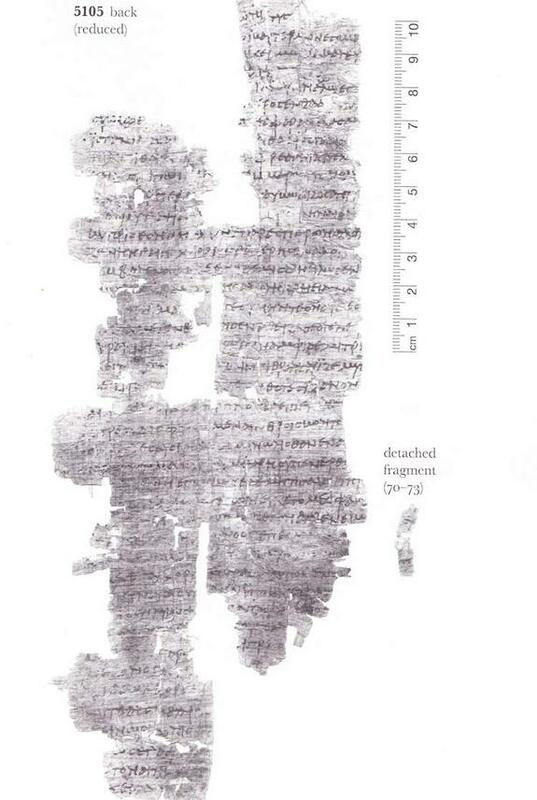 The story of the text's deciphering begins in the late 19th century with excavations at Oxyrhynchus by Bernard Grenfell and Arthur Hunt. During the time that the Romans ruled Egypt, Oxyrhynchus was a sizable town of about 10,000 people located in Upper Egypt. Among their discoveries, Grenfell and Hunt found hundreds of thousands of papyri in ancient dumps at the site. Over the past 100 years, scholars have gradually been analyzing, translating and publishing the papyri. This particular text, along with many of the other papyri, is now at the Sackler Library at Oxford University. Schubert said that before he and his team began work, all they knew about this papyrus was that it was written in Greek and contained a poem; "we had no idea what it was going to be." As for why someone in Egypt would write or copy a poem like this so long after Nero's death, one possibility is that the poem itself was composed after Poppaea's death, but when Nero was still alive. Then, over a period of 200 years, the text was popular enough that it was retold again and again until someone in Oxyrhynchus wrote it down. Schubert said that, although none survive, it is possible that deification poems like this were written for members of the Roman imperial family after they died. "There is a possibility that the poem we have here recovered actually belongs to this lost genre, but we can't be sure," Schubert said. He points out that a writer named Seneca wrote a satire that mocked the deification of a Roman emperor named Claudius. Another possibility, researchers say, is that a writer in the third century wrote this as a "poem of circumstance" when the wife of an Egyptian official died, using Poppaea and Nero as an example of two lovers separated by death. Yet another possibility is that this was part of a longer astrological poem. 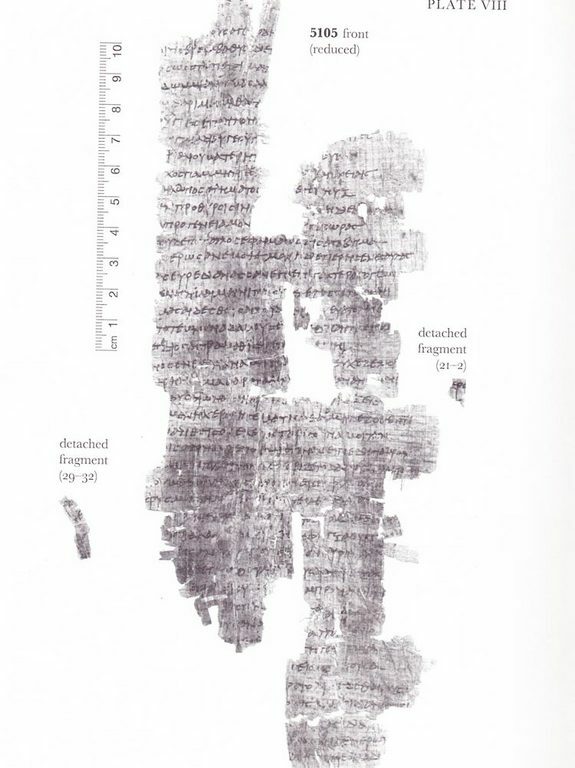 The text and analysis are detailed in the most recent volume of the series The Oxyrhynchus Papyri.